Winthrop suffers 1-0 decision to Boothbay in key Class C North game. 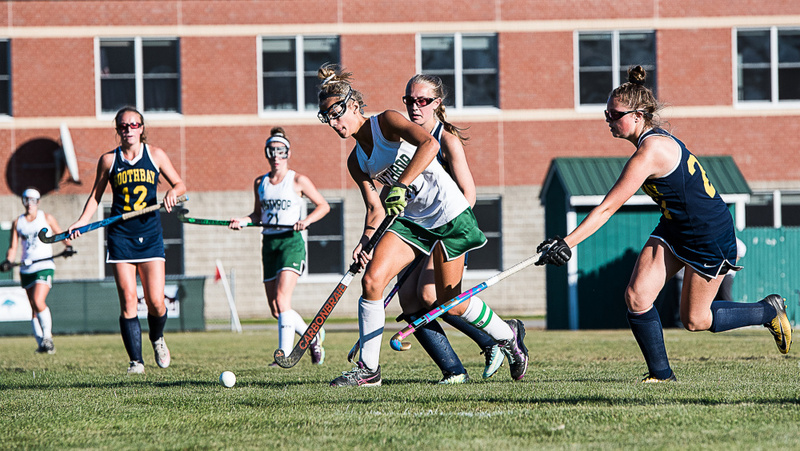 WINTHROP — Boothbay senior goalie Emily Amaral had faced only one penalty stroke entering a key Class C North showdown Monday with Winthrop. She faced her second in a critical situation Monday, stopping Kinli DiBiase with 2:45 remaining in regulation to preserve a 1-0 shutout — and 300th career victory for coach Donna Jordan — at Kelsey Ann Stoneton Memorial Field. Winthrop coach Jessica Merrill said the missed penalty stroke was just one of many squandered opportunities in the second half. Winthrop fell to 10-1-1 while the Seahawks improved to 10-1. Merrill says she is confident the loss will only aid her team. The team is still trying to find chemistry without their second-leading scorer Breonna Feeney. 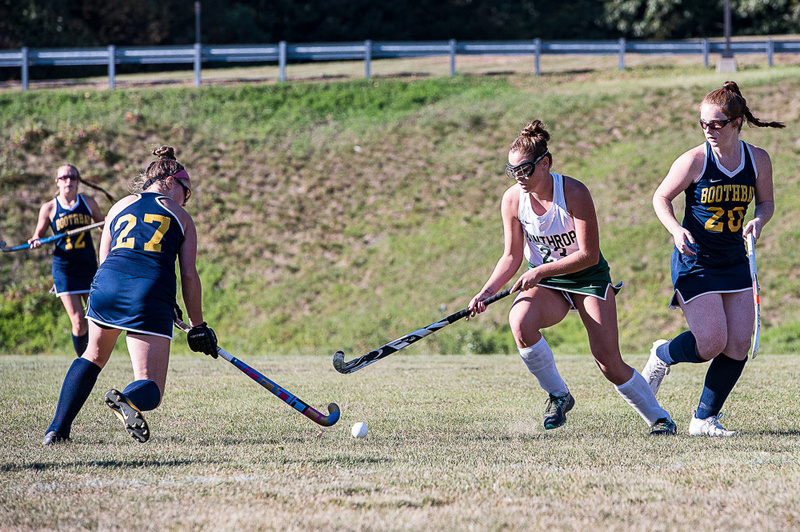 It was Sydney Meader who broke the scoreless tie with 19:56 remaining in the game, when she blasted a shot off a penalty corner as Chloe Arsenault sent the ball into the circle. The Seahawks dominated penalty corners, 10-2. Winthrop kept an eye on Meader all game, with Katie Perkins the primary defender. While Amaral made the big stop late in the game, it wouldn’t have been as big if it weren’t for the play of Winthrop counterpart, Aiva Agri, who made three key stops in succession with about 12 minutes remaining. She also made a couple key saves late in the first half. Agri finished with seven saves. In the first half, both teams were trying to feel each other out as opportunities were few and far between before Boothbay started finding its groove in the final five minutes or so.